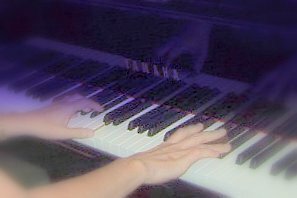 Springtime from 5 Songs from Japan performed at a Monster Concert on 12 grand pianos ( 48 hands!!!) at the Center for the Performing Arts, Castro Valley, Oct 2009. See a video of the performance on YouTube. 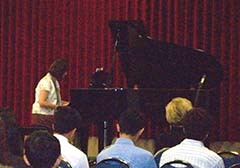 Bridge of Sighs (for flute and piano) given its premier performance at the Contra Costa Performing Arts Society in 2004 with Sarah Morris (flute) and Heather Morris (piano).